If you were to take a trip down through Video game history you're never come to the realization that Africa is the second largest continent in the world. There's a clear lack of black African characters, stories and art represented in the video game and media industry. Which is a shame when you consider how rich Africa is with it's history, people, language, traditions, myths, architecture, and so forth. 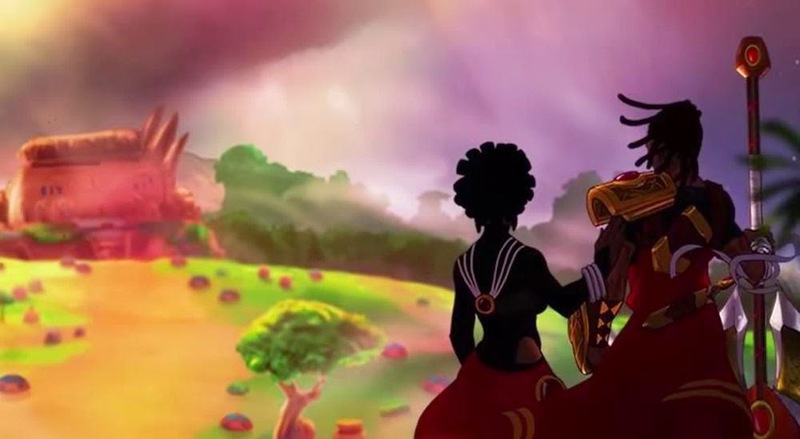 We believe one of the main reasons for Africa's absence is because there aren't many black people i.e Black Africans making video games to showcase their culture and stories which could reach a global audience. What we're used to instead is a derive by AAA titles that only use the ambiguous setting of "Africa " as an exotic scenery for their fierce narratives: Resident Evil 5's epidemic diseased Africa, the African drug Lords of Far Cry 2, Metal Gear Rising: Revengeance's cyborg blaze across a politically unsettled Africa. "hERE'S AN AFRICAN RPG MADE BY AFRICAN PEOPLE"
Videos games ain't the only at fault in spreading the negative portrayal of Africa in it's fabrication. Hollywood movies also play a vast part in this. It's a portrait of the continent that happens to be born from international news, which is probably the place most people hear anything about Africa. When something horrendous is happening there we're informed about it. Otherwise? Nope. As Black/Africans continue to look into what's achievable with video games we're starting to notice larger productions. Among the first is Aurion, Legacy of the Kori-Odan, which retains it's local culture, but also manages to balance that with a more universal appeal, which means it could find fans outside of the Africa. Cameroon. It's native origins are important as the RPG market has been controlled by Euro-centric and Asian fantasy since it's arrival. This means that stories, surroundings, and popular narratives of those cultures monopolized the genre, but here comes an African fantasy game made by black people and how refreshing it is to see. Even upon first sight, with it's beautiful mix of colours, Aurion has a distinct look in comparison to other RPGS, and that's due to it's Black African roots. For it's unique African fantasy, the group has founded the Kiro'o Tales, the name being copied from "Kiroho Maono," which in Swahili simply means "spiritual Vision." The Kiro'o Tales take from three distinct sources: African mythology, "true" African stories, and African traditions. This is why Auriona, the planet this fable takes place upon, is made up of six continents each with their own cultural group, all of whom are affiliated by a "frightful past." significantly, as with Africa's yesteryear of colonization and slavery export, this trauma endured in the past is something for the dwellers of Auriona to overcome collectively. And so, the game focuses not on encouraging more cultural conflict but on uniting the people, or, as the team put it, acting as "an ointment for [the peoples'] harmony." It's a fantasy that looks towards to a more optimistic future. This is the reason why, in Aurion, it's essential that you create an improved future for the planet's population. As Enzo Kori-Odan, the new crowned head of Zama, and his spouse Erine Evou, you explore each of the six continents to find support for your crusade. That cause is taking Enzo's throne back after his brother-in-law carried through a coup d'etat on the day of his enthronement. In this, you are given time given to explore and communicate with nonbelligerent villagers as they go about their everyday life; speaking of stories, looking after farm animals, selling fresh fish and fetching water. It's in these exploratory points and the ancillary activities bound to them that you get to experience parts of African day-to-day life inside the RPG formula. Also, by travelling to the multifaceted cultures of the planet, Enzo and Erine "learn about the political and existential perplexity attached to their roles as King and Queen." But, more so, it gives them the chance to unify their "Legacy" so the African past isn't entirely disregarded. This legacy is knotted to a unusual physical phenomenon that some people in Aurion's fantasy are capable of channeling, numerous of them using it to create artwork, and some other forms of handcraft. Enzo and Erine use this energy in battle, as they are Aurionics, and it's their "art of battle" that this "Legacy" pertains to. significantly, when channeling the force they hear the voices of their ancestors. Kiro'o games say that this is due to Aurionics being the consequence of generations of feeling and thoughts bundled up into one person. Enzo and Erine's abilities, much like their majestic positions, are the creation of their bloodline. And so, they're using what is fundamentally African culture, realized as a form of wizardly energy, to unite the six continents of Auriona. 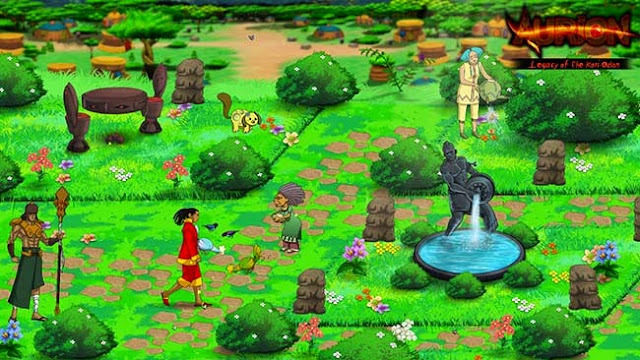 Aurion, then, is quite a concentrated mixture of the mundane and the fantastical, all of it based around African lifestyle and mythology, whether directly or through fable. But it's lifelike presentation and well-known action-RPG formula means that it's all made accessible. There's possibility here for it to have worldwide appeal. And, even if it doesn't succeed on that kind of scale, it'll still make for a large step towards that. 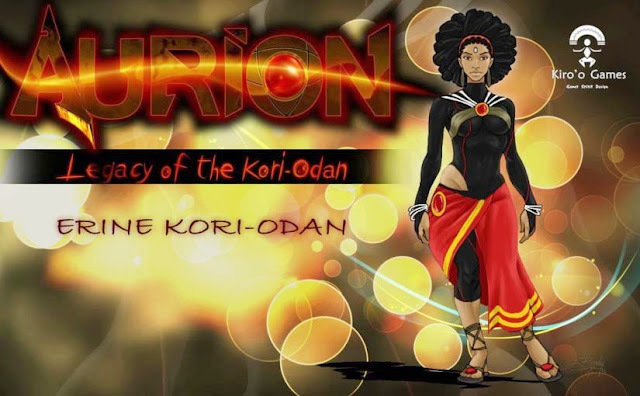 You can find out more about Aurion, Legacy of the Kori-Odan on it's website. Also watch this space for more updates. Looks amazing and it's about time we got an African influenced RPG, but sorry if i missed this, but is this a mobile game or for console? 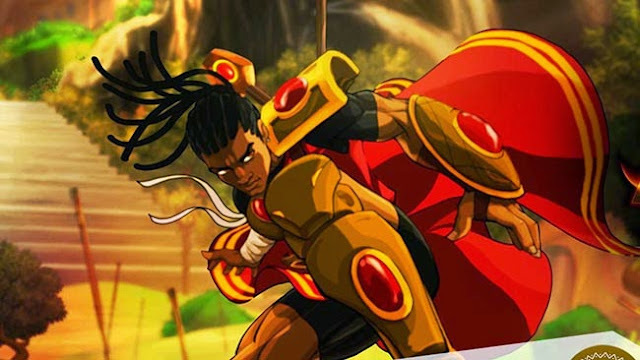 Aurion is a PC game, there's been no news of it coming out on mobile or console. Brilliant! I'm Loving everything about this game so far - the African theme, the characters, the music and game-play! I really hope this succeeds. Wow, this looks beautiful and what a fantastic and original setting too! Yo Daphne where can I get this game? Aurion is still in development Darui. i really want to support Aurion for the simple fact of diversity in the gaming industry. We need more positive games like this representing blacks. This is quite unique! I love the different flair that this setting provides! I can also see a lot of care went into all of the characters. 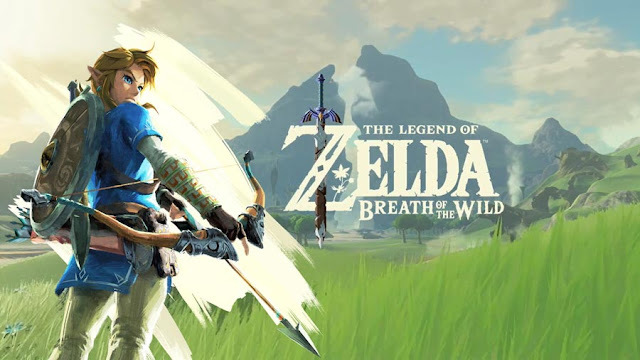 Wow, the game looks wonderful, I can't wait to play it.